The Bavarian Department of State-owned Palaces, Gardens and Lakes, otherwise known as the Palace Department, is one of the most traditional administrative departments in the Free State of Bavaria. Created as part of the administration at the court of the electors and kings, it is today one of the largest public authorities responsible for museums in Germany. It is also responsible for a very special historical heritage: the many magnificent court gardens, palace parks, gardens and lakes. Because of its origins in the court, the Palace Department looks after the palaces and residences of the civil list which remained after the former royal family was no longer in power. In addition, however, it has gradually taken over a number of other properties, so that it is currently represented in each of the seven regions of Bavaria with 45 palaces, castles and residences as well as further monuments and artists' houses, 32 historic gardens and 21 lakes. In addition to the palaces, castles and residences, churches such as St Bartholomew's and monuments such as the Hall of Liberation in Kelheim, the statue of Bavaria with the Hall of Fame and the Field Marshals' Hall in Munich are also the responsibility of the Palace Department. 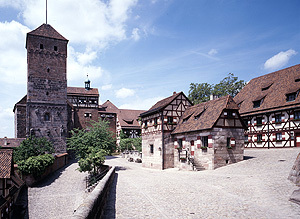 As part of Bavaria's cultural heritage, these properties provide a unique insight into important epochs of Bavarian history and naturally also the history of Germany. The headquarters of the Bavarian Palace Department are located in Munich. The general administration of all the property and regulation of all personnel, legal and budgetary matters takes place here. All relevant publications and advertising measures are planned and produced in Munich. Besides, among the staff including specialists in the restoration of the valuable interiors, art historians who are responsible for the museums, building specialists who supervise the rebuilding, restoration and extension of the property in accordance with the principles of preservation, and a garden department which is not only responsible for the maintenance and conservation of the gardens, but also for research into their history. The external administrative offices are the local contacts and are responsible for all matters relating to the most beautiful sights in Bavaria. The tasks of the boards and their staff are very varied. One of their responsibilities is the smooth running of the property as a museum: it is their job to ensure that individual visitors, buses full of tourists from all over the world, school classes and local people are all satisfied with their visit. The external administrators are also responsible for seeing that there are regular guided tours, the tills are manned, museum rooms, cloakrooms and toilets are clean and the attendants are on duty. Together with the art historians of the museum department, they plan and organize their own events such as the Residenz Days in Würzburg, long museum nights or Residenz Week in Munich. 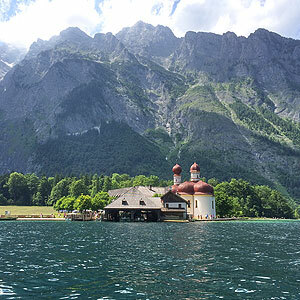 The 21 lakes looked after by the Bavarian Department of State-owned Palaces, Gardens and Lakes are among this region's main attractions. The three external offices at the Ammersee, Chiemsee and Starnberger See are also responsible for fishing rights, the allocation of mooring buoys and landing stages and rental contracts for boat mooring places.